Local favourite Mike Jones will replace Alvaro Bautista at the Angel Nieto Ducati team for this weekend’s Australian Grand Prix, stepping into the shoes of Alvaro Bautista as he’s shuffled up to the factory team in place of the injured Jorge Lorenzo. 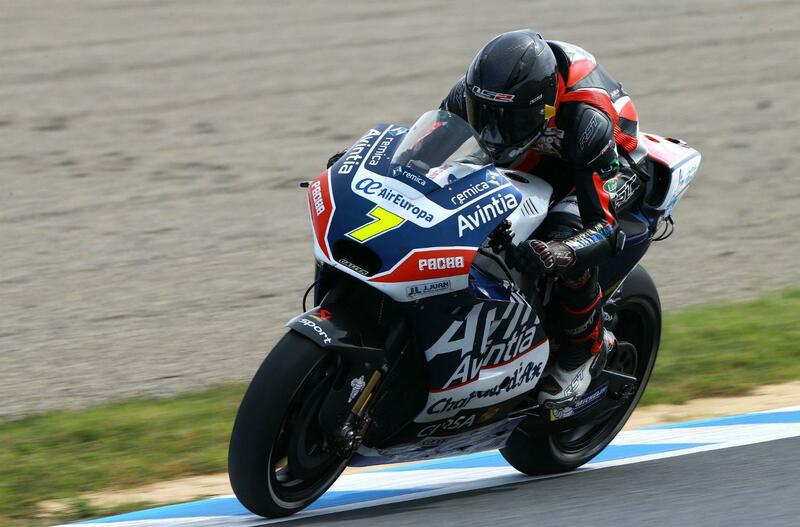 Last riding a MotoGP machine two years ago at Phillip Island, Jones surprised by scoring a point on only his second outing on the Avintia machine back then. The Aussie says he’s looking forward to a third chance to prove himself, this time on a much-improved GP17 machine, after initially filling in for Hector Barbera as he in turn stepped up to the factory team to replace an injured Andrea Iannone. But while Jones is pleased with his ride, WSB-bound Bautista is delighted with the chance to step up. Top Ducati finisher last time out at Motegi in an impressive fifth, he’s confident that he’ll be able to ride without pressure on the factory bike.